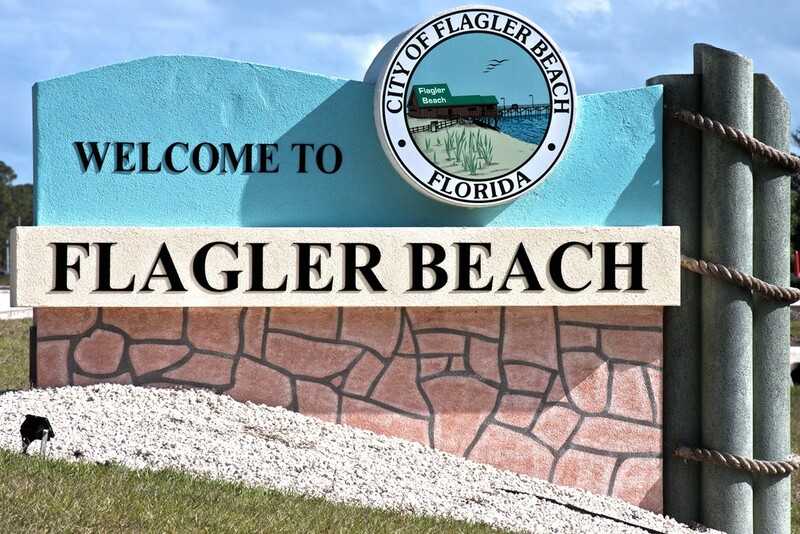 Surf 97.3 FM | FlaglerBeachRadio.com | Flagler Beach's Community Station | "The Sound of The Surf"
Join DJ Surfin' Vern Sunday nights from 5:00 - 6:00 PM for non-stop dancefloor mixes of songs that we play regularly here on the Surf. Only difference is that for this hour, he mixes them up on turntables like being at a nightclub. 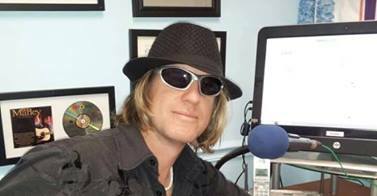 As a professional party Disc Jockey and owner of Florida's Pyramid DJs company as well since 1988, Vern knows how to work them classic turntables. Each week explore a different era from the 60's, 70's & 80's as he gets you "dancing on the floor". Hello from The Surf Radio Staff! THE SURF IS EXCITED FOR 2014! Some of our station staff recently got together to discuss some exciting changes on the way for the station. Watch and listen for "BIG" news coming soon!! Moving up, up and away on a major switch in frequency here in 2014. 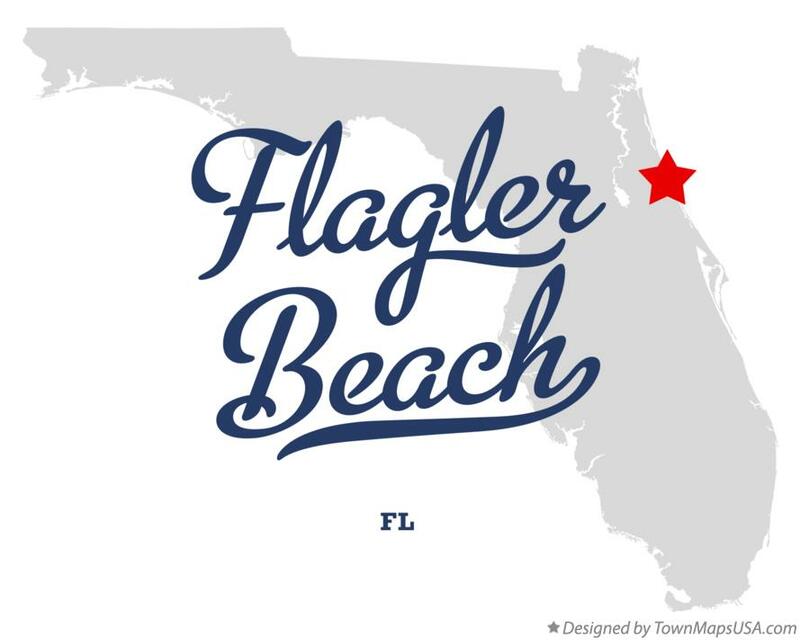 We will be bringing you the sounds of the surf, sand, sea and sunshine oldies to all of Flagler and online nationwide and abroad. 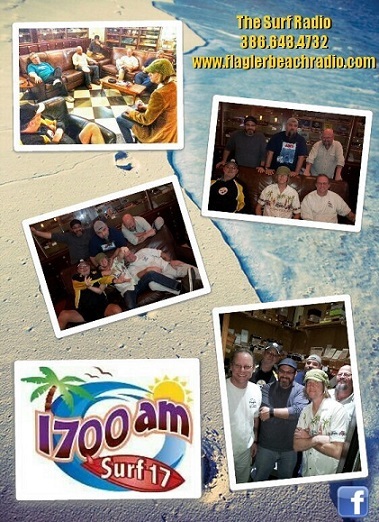 A heartfelt thank you to each and every one of our loyal listeners. Surf's up! Happy New Year. It's Gonna be a great 2014! 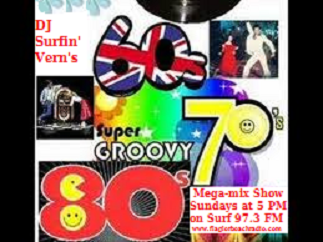 DJ Surfin' Vern here. Happy New Year to our radio family and friends! Watch and listen for "BIG" news here in 2014! Hmmm, what could it be? Let's just say, if you can figure out what the words in quotations below might mean, you may understand what could be happening this year here at our station: "Amplitude Modulation; Frequency Modulation". Click on the Facebook, Twitter & Soundcloud icons above for our media pages for the latest information here at Surf 97.3 FM.